For some time I have been considering a Nifty MiniDrive for my MacBook Pro 13″ with Retina display, to expand the available disk space with up to 64 Gb. The Nifty MiniDrive is a MicroSD card adapter for the built-in SD card reader on the MacBook Pro (It’s available for the MacBook Air too.) but much shorter than the adapter card that are often included when buying a MicroSD card. 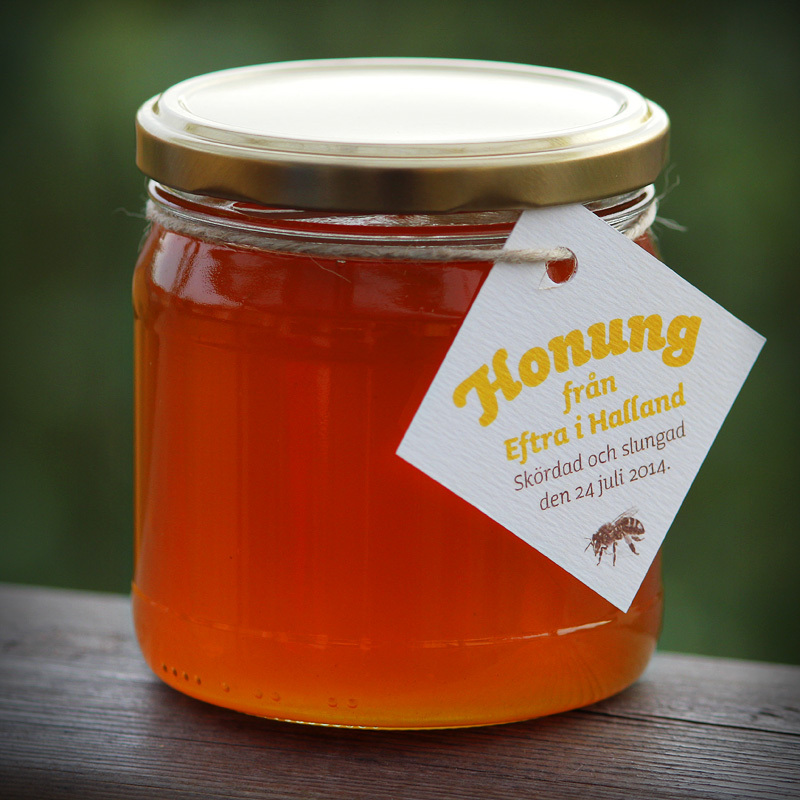 A couple of weeks ago I harvested the honey from my, now single, beehive in Eftra, Sweden. I got about 32–33 kilos this year, which is a record for me since I started with beekeeping in 2010. It will result in at least 70-80 jars, so I’m hoping people will be interested in buying a few. I have also, finally, designed labels for the jars, so I won’t be as lazy as previous years and just sell the honey without any branding. The label, by the way, is printed on 250 g Rives Tradition and fastened with a linen string. Make sure you check out The Apiary Map, or Biodlarkartan if you are in Sweden, to find your nearest beekeeper. Perhaps they can sell you some locally produced honey!